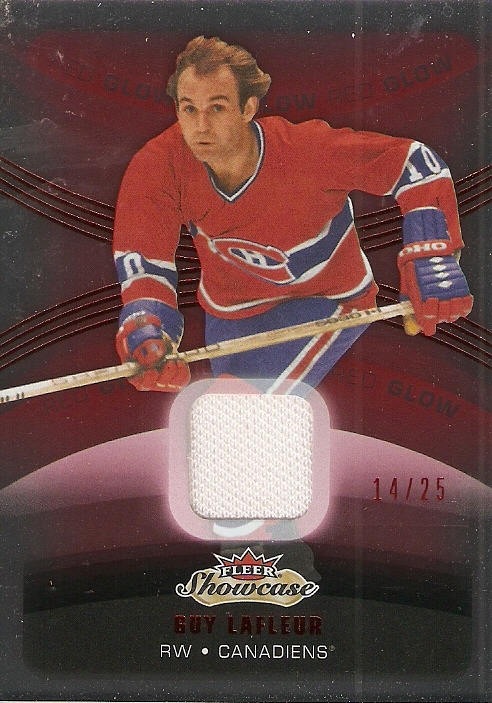 I think I got this box almost two months ago, but really just never got around to posting it, despite scanning the cards and basically doing everything but typing it up. 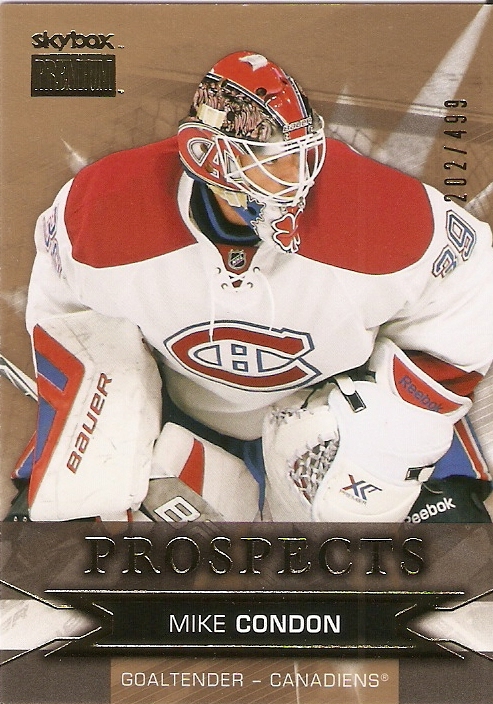 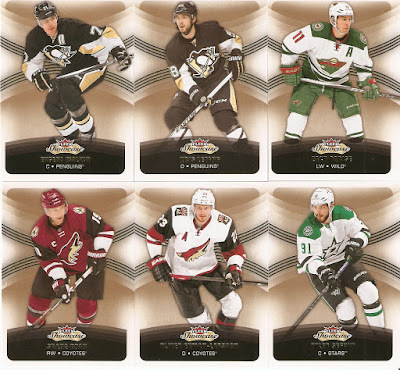 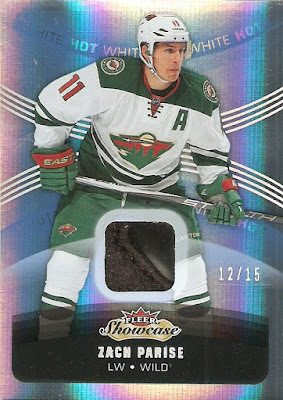 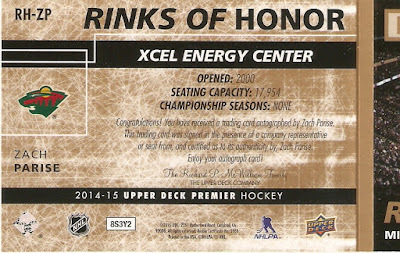 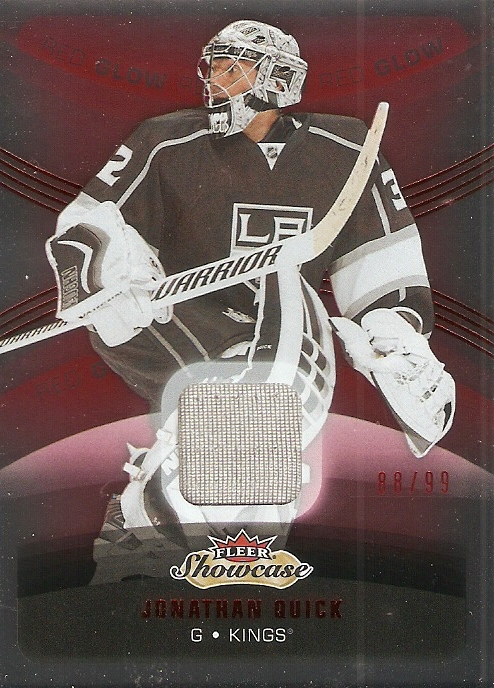 Anyway, 2015-16 Fleer Showcase is a product in its third year, and is Upper Deck's way of paying tribute to (or maybe just capitalizing on) past products of the Fleer brand, which Upper Deck owns. 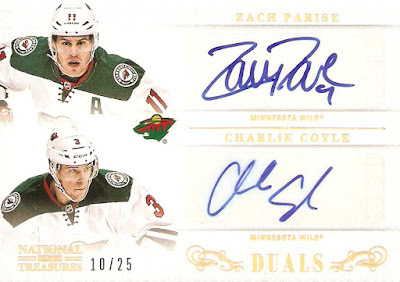 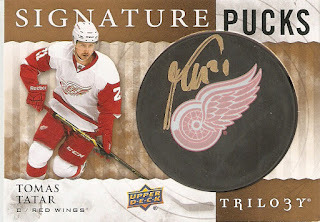 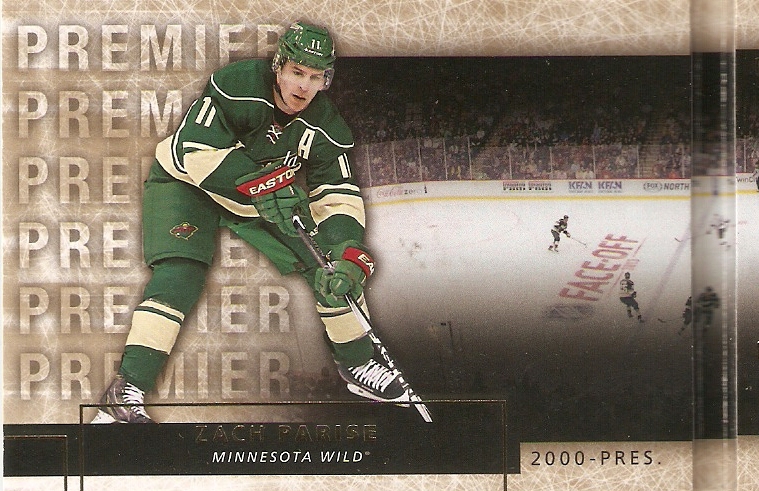 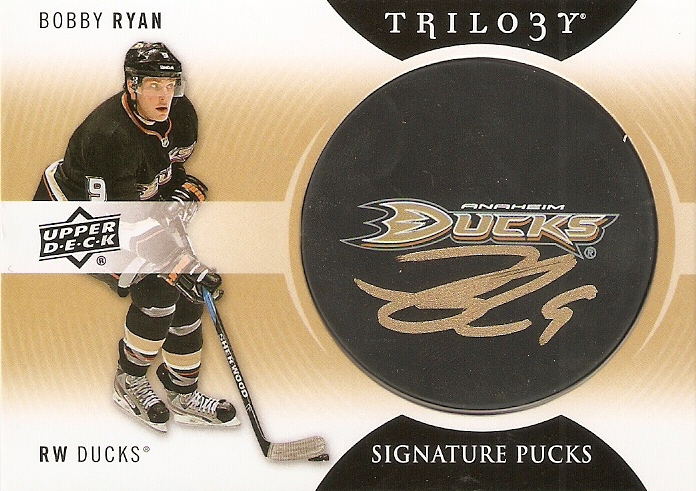 The base cards are actually a unique design, as all of the Fleer "tributes" are inserts, and are very similar to what you would see from one of their SP lines, but with a colored background instead of white. 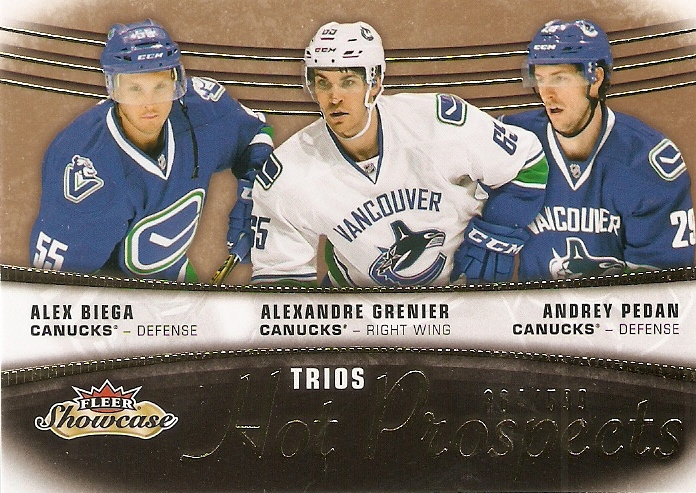 The trios cards are just a way to put in some of the season's late-comers, and as such, it's rare to find a whole lot of players with a whole lot of superstar potential, as they most likely made their debut earlier in the season, and are part of the main rookie line. 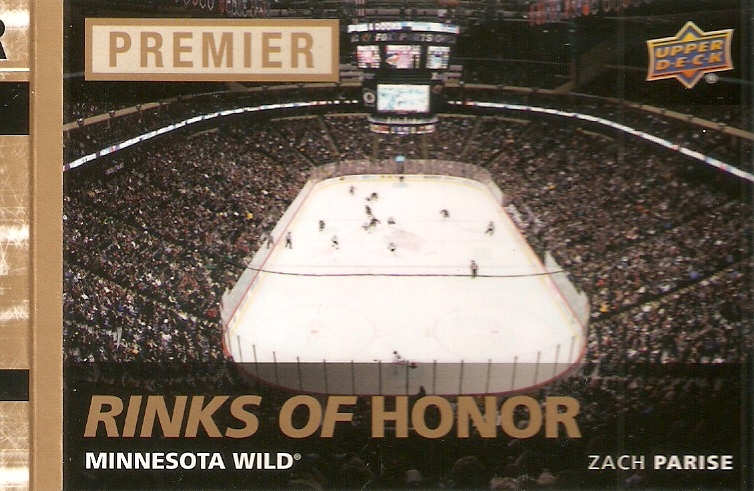 Then, there are the insert sets that pay tribute to past Fleer issues. 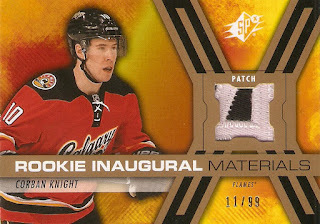 In previous sets, they were able to to a more precise replication of these, but as they run out of former sets, they instead have to go with more of a "tribute" thing, which gives a more modern take on what those sets could have looked like. 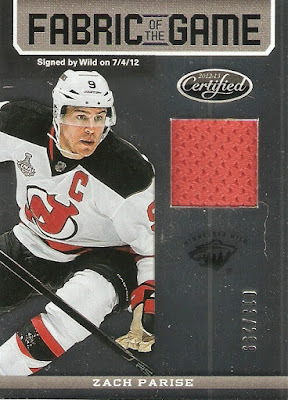 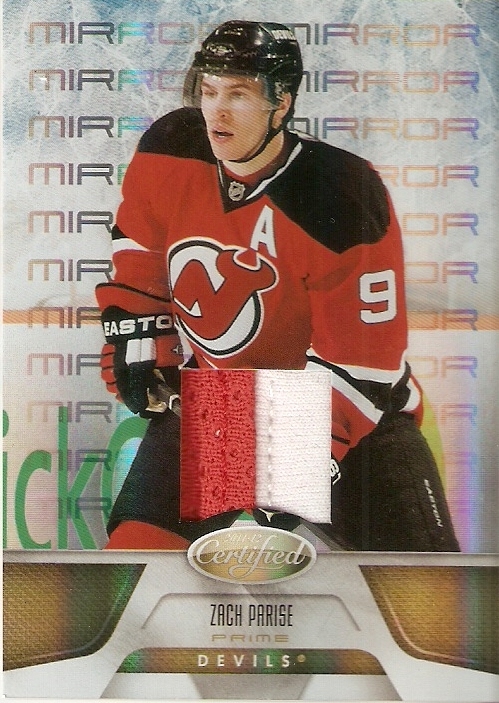 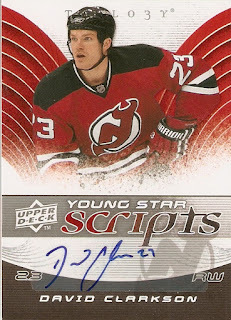 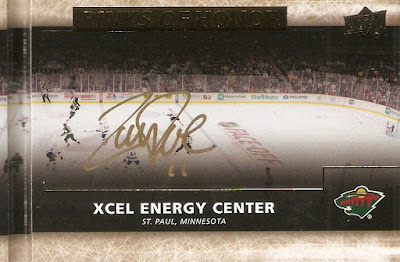 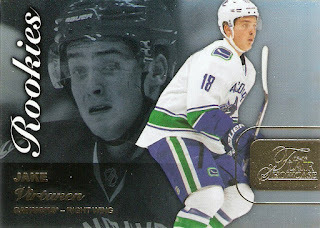 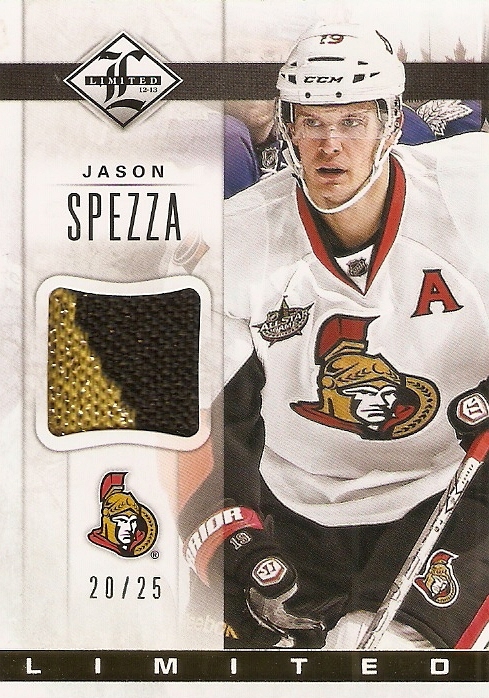 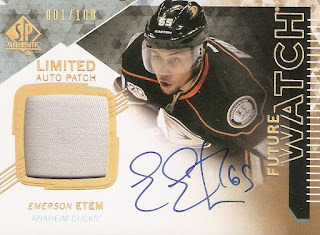 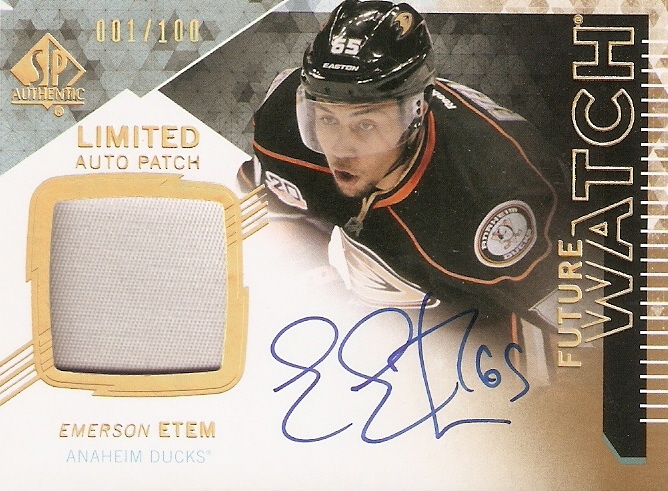 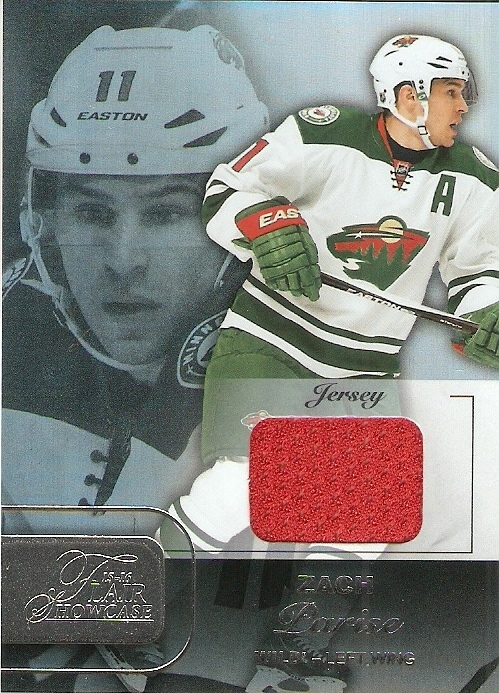 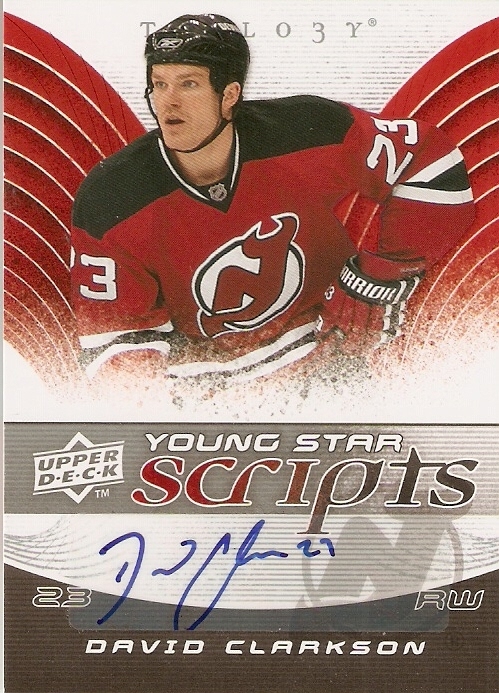 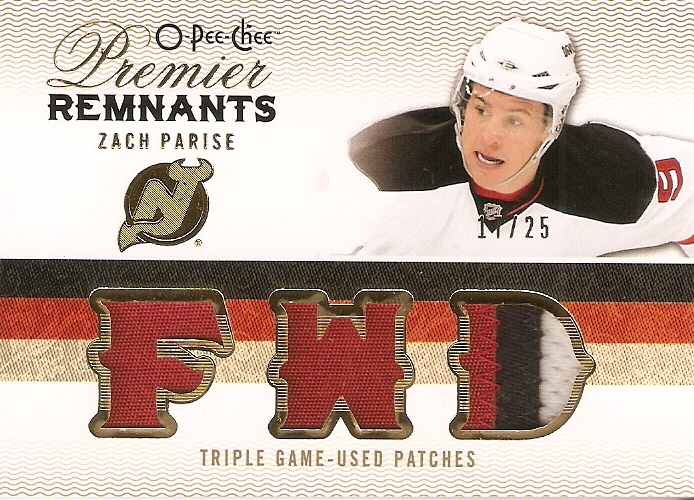 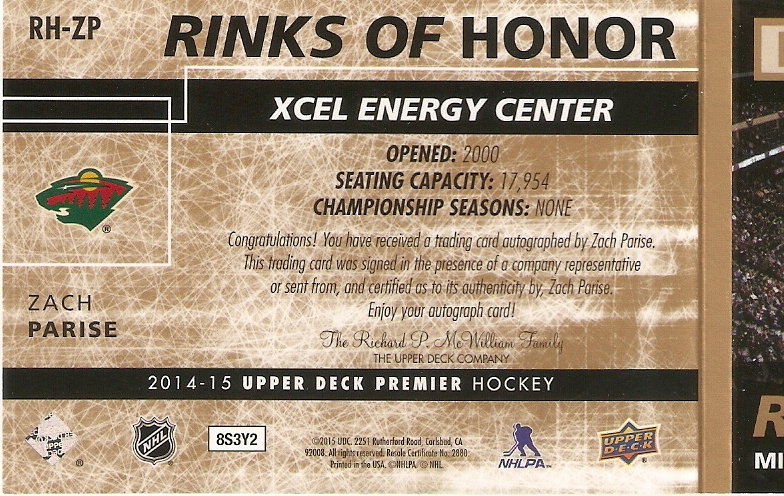 Some of the jersey cards have an extra-low serial number for some reason, but I'm not sure why. 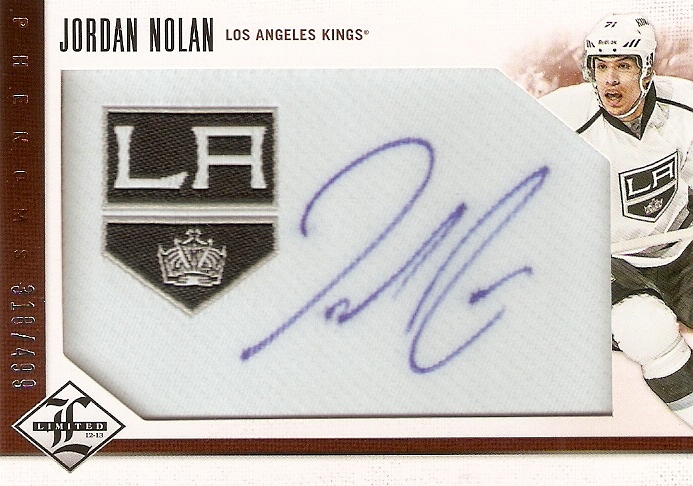 There's only 25 of these, and the fact that it's a hockey legend makes it extra cool, as well. 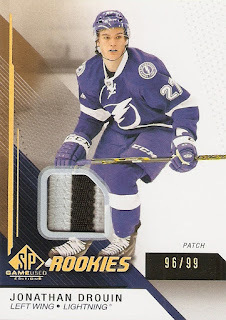 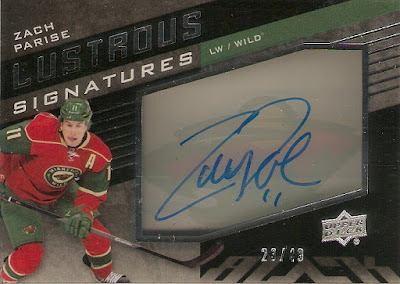 This is my guaranteed Rookie Auto Patch card, of San Jose Sharks forward Nikolay Goldobin. There are three colors on the patch, which is great, even if it's only a slight bit of teal in the upper right. 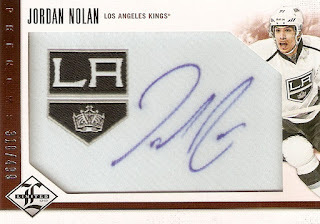 He spent most of this past season with the AHL's San Jose Barracuda, but was with the NHL team for nine games, scoring one goal and one assist. 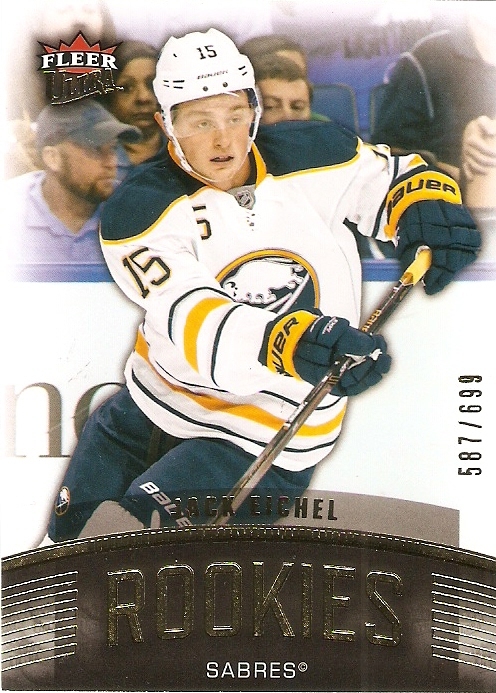 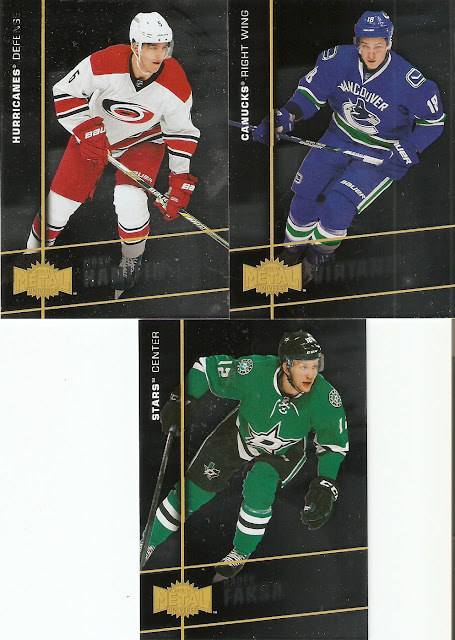 I didn't strike gold with this one, but there were some respectable pulls, not only with the hits, but with a Jack Eichel rookie card. I know it's a bit of a gamble, as any box of cards can be, but with a guarantees Rookie Auto Patch, you'll always walk away with something pretty nice. 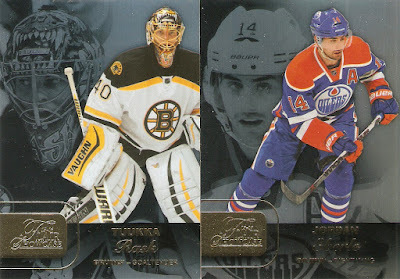 Nothing much to write about in detail, but here's a few Additions to my traders that I have come across recently. If anyone is interested in any of these, let me know at matt-pederson@hotmail.com. Being a hockey fan, I have grown accustomed to having to wait longer to receive my items due to international shipping. 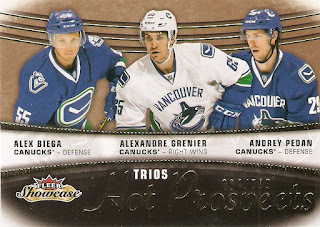 Usually, the cards in question are on their way from Canada, but every now and then, they come from even further, like this three-card Ebay purchase that came all the way from Austria.